A top U.S. Force general issued a warning to Congress on Wednesday, claiming both China and Russia have plans to take down U.S. military satellites using missiles, spacecraft and possibly lasers. Air Force General John Hyten, commander of the Air Force Space Command, made the warning after pleading with Congress to boost spending to shield military satellites. “Adversaries are developing kinetic, directed-energy, and cyber tools to deny, degrade, and destroy our space capabilities,” Hyten said in a prepared statement, according to Freebeacon. “They understand our reliance on space, and they understand the competitive advantage we derive from space. The need for vigilance has never been greater,” he added. Hyten pressed that U.S. 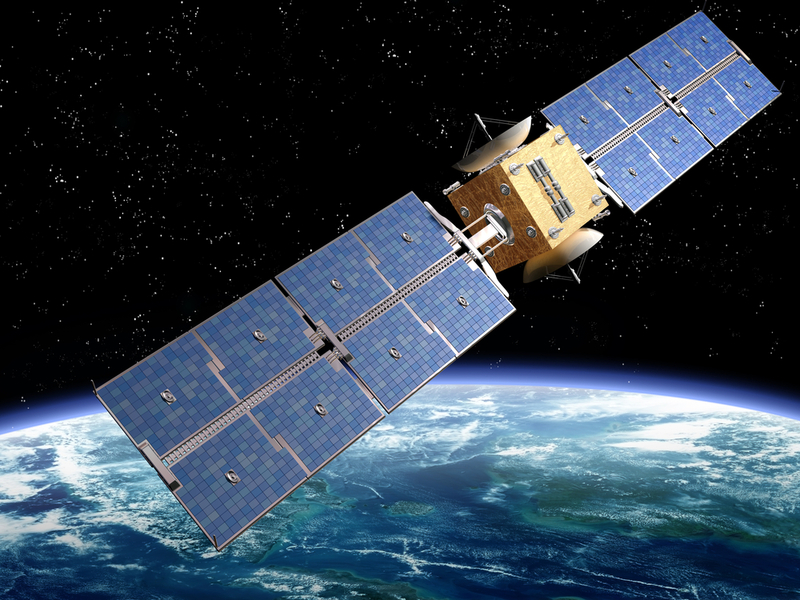 Global Positioning System satellites are still susceptible to attacks. The new military command center has been keeping tabs on missile launches, ominous robot satellites and ground based lasers, which could threaten U.S. satellites. Interfering with the time-keeping feature of satellites could corrode the military’s ability to guide weapons during precision strike operations. Lieutenant General David Buck testified with General Hyten, and verified that China and Russia posed the greatest threat to U.S. space systems. “Simply stated, there isn’t a single aspect of our space architecture, to include the ground architecture, that isn’t at risk,” Buck said. “Russia views U.S. dependency on space as an exploitable vulnerability and they are taking deliberate actions to strengthen their counter-space capabilities,” he continued. Douglas Loverro, deputy assistant defense secretary for space policy, added that if U.S. satellites were subject to attacks, then counter attacks either on the ground or over the internet could ensue. “A space offset strategy must employ a diverse set of resilience measures that complicate the technical, political, and force structure calculus of our adversaries, by arraying a complex set of response, with few overlapping vulnerabilities and a combination of known and ambiguous elements,” he said. Loverro pressed that the United States doesn’t wish to wage war in space, but will if necessary. 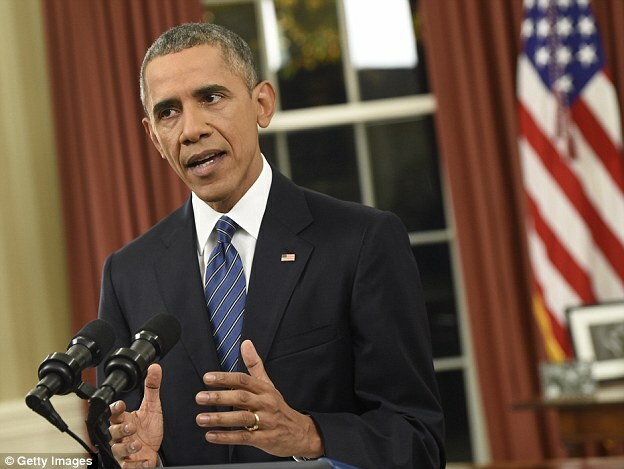 “But let me be clear about our intent—we will be ready,” he said. Speaking in a television interview Dahham Al-‘Anzi of the Kingdom of Saudi Arabia was discussing why many in the Arab world feel the need for Syrian President Bashar al-Assad to be removed from power, and that a ground invasion was not only necessary, but is going to take place! Post by LSU0408 at ATS. It always seems too easy to relate the prophecies of someone after those times have already passed and we have hindsight, and putting the pieces together afterwards. However, take a look at this documentary from 1979 which discusses Nostradamus’s prophecy on WWIII. Remember, it’s a 36 year old documentary and we were still in the middle of the Cold War. I’ve done the best I could do with writing out the transcript. You can watch the entire documentary, but the WWIII starts at 1:24:43. Up until now, we’ve taken examples of quatrains and explained them and analyzed them. Now we ask you just to listen to what Nostradamus had to say about the devastation of a nuclear war, a third world war. His description is so vivid, it needs no interpretation. The kingdom of fear shall come to those in Europe, fire and sword shall destroy their cities. The great one of Asia by land and sea with a great Army so that blues greens crosses, to death he shall drive. Tears, cries, and wailing, howls and terror, an inhuman cruel heart, black and cold, take Geneva, the islands, the main people of Genoa. Blood pours, hunger for weak, mercy to none. The Arab prince [can’t make out the next name] Saul, Venus, Leo, the kingdoms of the church will be overcome by the sea, towards Persia very near [a million?]. Turkey, Egypt, too Southern to invade. In the Danube and Rhine, shall come to drink the great camel and shall not repent. The roads shall tremble and more of those in the [??] and near the Alps, the clock shall dwindle. From the Black Sea and great Tartaria, a king shall come to see France. He shall go to Alane and Armenia and leave a bloody rod in Constantinople. At the 48th degree of the climate directly at the end of Cancer, there’s a very great drought. Fish in the sea, river and the lake boil hectic. They are all distressed from the fire in the sky. If France can cross the Liberian sea, you will find yourself besieged among island and sea, Mohamed against you. Moreso the Adriatic, you will know the bones of horses and asses. The fleet is wrecked near the Adriatic sea. The Earth trembles. Pushed into the air and falls again. Egypt trembles, Mohamed’s increasing power. Herod is sent to call out for surrender. So the devastation spreads across Europe, and even into Egypt and Constantinople. But it does not stop there. The United States is also involved as we can see from a quatrain, which many experts agree, refers to New York as the new city. Garden of the world near the new city, in the way of the man made mountains shall be seized on and plunged into as a ferment, being forced to drink form a sulfurous poisoned waters. The man made mountains, an obvious description of modern skyscrapers. Further to that is the reference to the fire in the 45th degree latitude, which is very close to the position of New York City. The sky will burn at 45 degrees. Fire approaches the great new city. Immediately a huge scattered flame leaps up. An answer to the question, “where,” it’s likely that most of the world will be involved. Hopefully less by those specifically described by Nostradamus. Which brings us the the question of, “Who will survive?” To answer this, we need to remember Hiroshima and try to remember the devastation of more than 20 years of nuclear holocaust. Obviously, many of us would have no chance whatsoever, but, there is light at the end of the tunnel. Nostradamus does tell us that the war will end and that the West will ultimately win due to an unexpected alliance. An alliance between the USA, and Russia. This may seem far fetched, but let’s examine the evidence given by Nostradamus. When those of the arctic pole shall be united together, there shall be in the East, great fear and trembling. One shall be newly elected that shall bear the brunt. Roads in Constantinople shall be dyed in barbarian blood. Those of the Arctic Pole can only mean Russia and the US, as we see here at the Bering Strait. The two continents are at their closest point in the Arctic Circle. Alaska, part of the US, and Russia. And he goes on to say, “In the East, great fear and trembling” so he’s suggesting here that these two Northern powers will unite against the East. And there’s a further quatrain to support this. One day the two great masters shall be friends, their great powers shall be increased. So, after many years of fighting, it seems that Russia herself may become uncertain that there will be a division in the land. The South remaining with Islam, due to the predominance of Muslim population, and the North joining with the US, those of the Arctic Pole. And as incredible as it may seem, Nostradamus suggests that not only will this alliance occur, but will triumph. As he says in several quatrains, and also in one of his epistles. For the principal Eastern ruler being for the most part moved by the Northern and Western men, shall be vanquished and put to death, beaten, and all the rest put to flight, and the children he had by many women put in prison. The barbarian league will be driven out, over two laws, the pagan one will fail. Here he tells us the pagan law will be driven out and goes on to talk with a king of Europe who eventually becomes a driving force of victory for the West. Out of [??] will come the king of Europe, accompanied by those of the North. A group of reds and whites shall create a great troop, and then shall go against the king of Babylon. There it is again, another reference to those of the North. And the reds and the whites? Russians and the West. By antichrist, three shall be brought to nothing. His war shall last seven and twenty years. The heretics dead, prisoners exiled. Blood of human body, water made red, Earth shrunk. Here, Nostradamus states definitely that the war will last 27 years and that the third antichrist will be driven back and brought to nothing. From Barcelona, to Genoa and Venice, from Sicily near Monaco united, and against the barbarian, the fleet shall take her aim. The barbarian shall be driven back. After this war shall have lasted a good while, there should be a renewed reign of Saturn and a golden age. God the Creator shall say, hearing the affliction of his people. Satan shall be tied and beaten and put into the bottom of the deep, and here shall begin an age of universal peace. A Bulgarian clairvoyant who died 20 years ago warned of the rise of ISIS by claiming there would be a ‘great Muslim war’ in 2016, it has been reported. 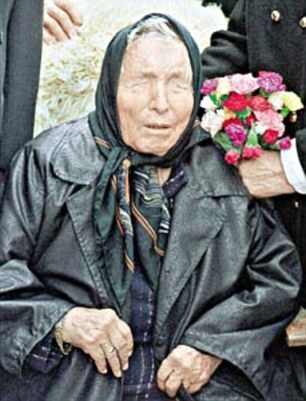 Baba Vanga died in 1996 at the age of 85 and was known as the ‘Nostradamus of the Balkans’ because of her success rate which was supposedly as high as 85 per cent. The blind pensioner, who has previously been credited with predicting the 9/11 terror attacks and the Boxing Day tsunami of 2004, warned of an invasion of Europe by Muslim extremists next year. Vanga is said to have made hundreds of predictions in her lifetime, including that there would be a ‘great Muslim war’ which would start with the Arab Spring in 2010. She predicted it would take place in Syria and would come to a conclusion in 2043 with the establishment of a caliphate with Rome at its centre, News.com.au reports. Vanga reportedly said Europe will ‘cease to exist’ by the end of next year, leaving the continent ‘almost empty’ and a ‘wasteland almost entirely devoid of any form of life’. 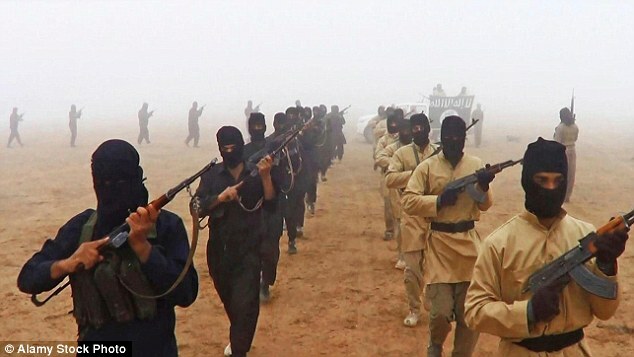 The chilling prophecy has alerted conspiracy theorists who highlight ISIS activity close to Europe in Libya. In 1989 the mystic is said to have made reference to the 9/11 terror attacks on New York by claiming ‘American brethren’ would be attacked by ‘two steel birds’. Some suggest this was a reference to the two hijacked passenger jets that were flown in to the World Trade Center. She is also alleged to have predicted the effects of climate change 60 years ago by warning that polar ice caps would melt and cause sea levels to rise. Vanga was born in the village of Strumica at the foot of a mountain range in what was the Ottoman Empire. She is believed to have lost her eyesight during storm when she was picked up in a fierce gust of wind and dumped back down on the ground. Vanga later claimed she had the ability to look into the future and quickly developed a ‘cult’ following. In later years, she became trusted by the rich and famous with even heads of state and powerful politicians from around the world seeking her opinions. In the 1950s Vanga reportedly predicted how ‘a huge wave will cover a big coast covered with people and towns, and everything will disappear beneath the water’. ‘Everything will melt, just like ice,’ she added. In 1989, she is said to have made reference to the 2001 attacks on the World Trade Center. The pensioner once predicted that the 44th US president would be African American – but she also warned that he would be the ‘last US president’. Vanga made predictions for the next few centuries before she died. Highlights include her warnings that aliens will help civilisations live underwater by 2130 and that there will be a war on Mars in 3005. In another apocalyptic message, she said everything on earth will die by 3797 – but that by this stage humans should be capable of moving to a new star system. Russian President Vladimir Putin has ordered Russian military forces to prepare for World War III, after warning Minister of Defense Sergey Shoygu to prepare for Syria to become the central battleground between NATO-Western allied countries and Russia. According to a report by the Ministry of Defence, Putin’s order was given following assurances from Israeli Prime Minister Benjamin Netanyahu that Israel would not interfere in a Russia-US war in the Middle East. Necessitating the timing of this order, this report continues, was President Putin’s refusal yesterday to obey the Obama regime’s warning against the Federation arming its fighter aircraft operating in Syria with air-to-air missiles—which when this Pentagon demand was ignored, the US announced it would begin an immediate massive air power exercise involving F-16 fighter jets, E3 AWACS surveillance and command jets, KC-135 refueling tankers, RC-135 intelligence-gathering planes, and B-1 and B-52 bombers with them, also, refusing to disclose the total number of planes involved. Equally as provocative against the Federation necessitating this war order, this report notes, was Germany, this morning, announcing it too was sending thousands of it military ground and air forces to battle in Syria, while at the same time stating that they would not share any intelligence with Russia they had against Islamic State terrorists, and would in no way cooperate with the current legitimate Syrian government currently in power. With the Syrian government, like Lebanon, Iran and now Iraq, being the only Middle East nations to support the rights of woman and other religions within their borders, this report says, the joining of the Germans on this side of the Islamic State and their woman hating Saudi Arabian backers defies all logic, but becomes understandable when viewed in the context that the Obama regime led West really does want a global war. And as if these provocations by the Obama regime against the Federation were not by themselves sufficient enough to cause the issuing of this war order, this report also notes, NATO’s announcement today that they were inviting the Balkan country of Montenegro to join their military alliance against Russia is cause enough alone for a massive war to begin. As to why the Obama regime has not targeted the Islamic States illegal oil wealth, having only bombed them 260 times in nearly two years, this report says, is due to their support of Turkey’s Erdogan regime, and about whom new documents were released this week proving this criminal organization had so much illegal Islamic State oil flowing to them they had to actually buy tanker ships to handle it all. And to the effect of President Putin’s order to his top military commanders to turn Syria into “Obama’s graveyard”, this report continues, was the immediate deployment to this war zone of advanced Russian fighter aircraft, the movement of Federation Aerospace Forces aircraft and ground troops to al-Shayrat air base, near the central city of Homs, and, most crucially, the deployment throughout Syria ofelectromagnetic weapons designed to turn this war zone into a virtual “electronic ghost world”. Distraction—during preparatory stages of combat operations, creating a real or imaginary threat against one of the most vital enemy places such as flanks and rear, forcing him to reevaluate his decisions to operate on this or that axis. Overload—often manifested by sending the enemy a large amount of conflicting information. Paralysis—creating the belief of a specific threat to a vital interest or weak spot. Exhaustion—cause the enemy to carry out useless operations, thereby entering combat with expended resources. Deception—during preparatory stages of combat operations, force the enemy to reallocate forces to a threatened spot. Divisive techniques—cause the enemy to believe he must operate in opposition to coalition interests. Pacification—through a peaceful attitude and approach cause the enemy to lose vigilance. Deterrence—create the impression of superiority. Provocation—force enemy action advantageous to your side. Suggestion—offer information that affects the enemy legally, morally, ideologically or in other areas. Pressure—offer information that encourages society to discredit its own government. And though not stated in this MoD report being referenced, the most astute reader of this report can be left with no other impression than Russia’s President Putin has, indeed, made the choice to confront NATO directly over the Syrian issue, will not back down. And, as always, the West, especially President Obama, will grossly underestimate the Russian peoples and government willingness to sacrifice everything, if they must, to save the Christian world from what they believe are satanic barbarians. Just finished watching a new fresh talk on 911 and you might want to get some popcorn and take some notes. Christopher Bollyn lays out some rather damning connections between Mossad, Netanyahu , film producers, Silverstein, Zionism, Dept of Defense, WTC security contracts, everything to do with 911. If you are one of the ‘undecided ‘ and have come looking for answers, then I urge you to watch the video. Bollyn connects all the dots. The first half of the video talks about thermite and how the explosions of the WTC buildings contain signatures of nano-thermite. Followed, explanation of how the crashes were set up. The 27 minute mark is where he talks about who-dunnit. Conclusion? Israel is 100% behind the attack on 911 to install a divide against the Muslim people and to create a false war on terrorism. The ramifications of this would indicate the United States is somehow held hostage to the Zionist elite and have been extorted into the framework to tow-the line because of their involvement. There clearly must be a faction of zionism in the american judicial system and has been an ongoing implementation since the end of WW2. It would be in my opinion that the fabric of deceit is so tightly and deeply woven into the American government, it is futile to consider justice. It would also be of my opinion that the ongoing war in Syria is a direct result of 911 and so is the influx of migrants in-so-far as to say planned. There is already a growing fear among the populations that the migrant crisis is a trojan horse. Admittedly, myself included. However, by shining the light on the involvement of the Zionist collective and their reasons for using 911 as a ruse to dominate Arab nations and for us to support the war on terror, maybe migration is part of the 911 plan.